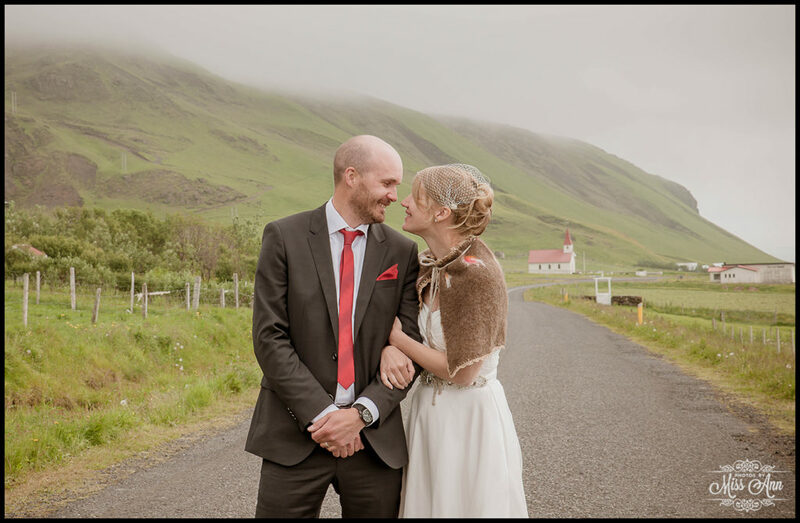 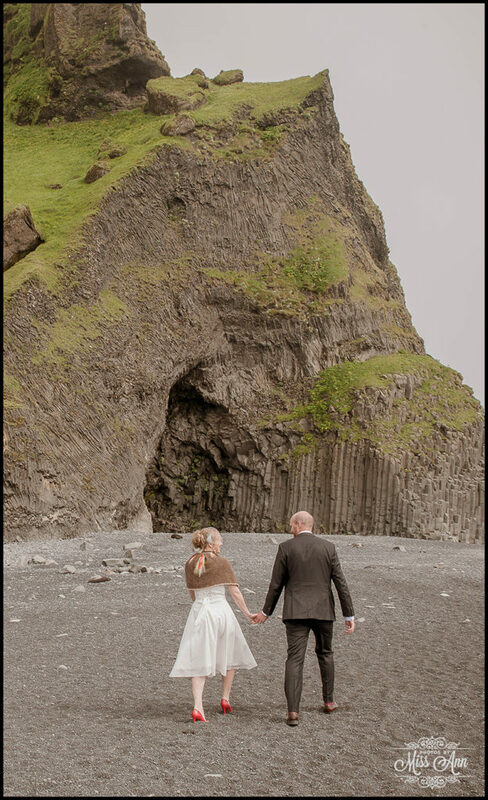 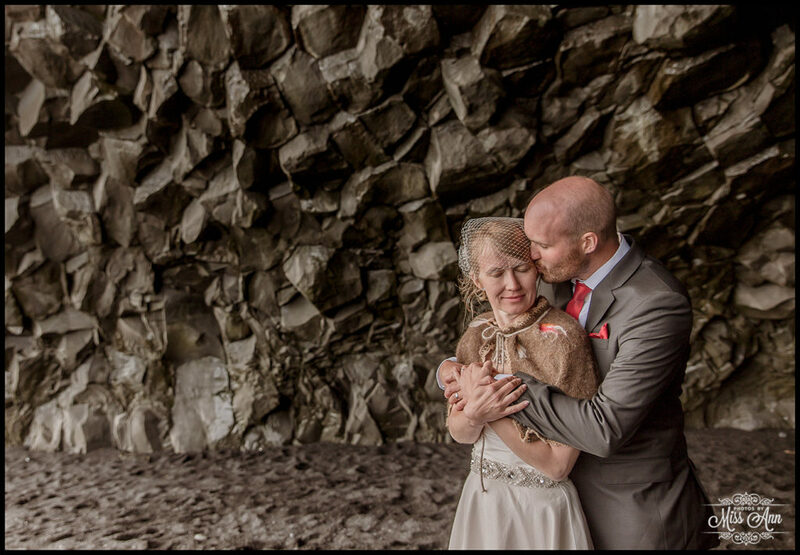 Thanks so much for stopping by our Iceland Wedding Planning and Photography Blog- we so appreciate it! 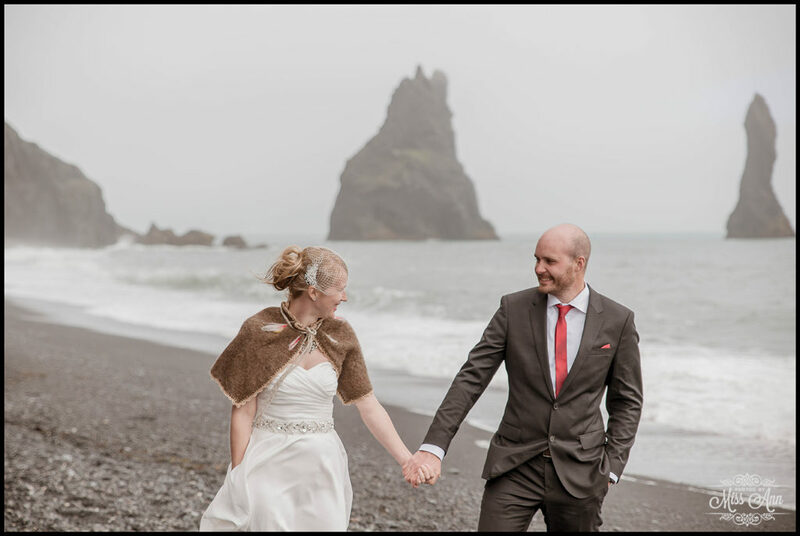 My apologies so many days have lagged between my last post, but I have been tackling a big life move, along with working through our busiest part of wedding season! 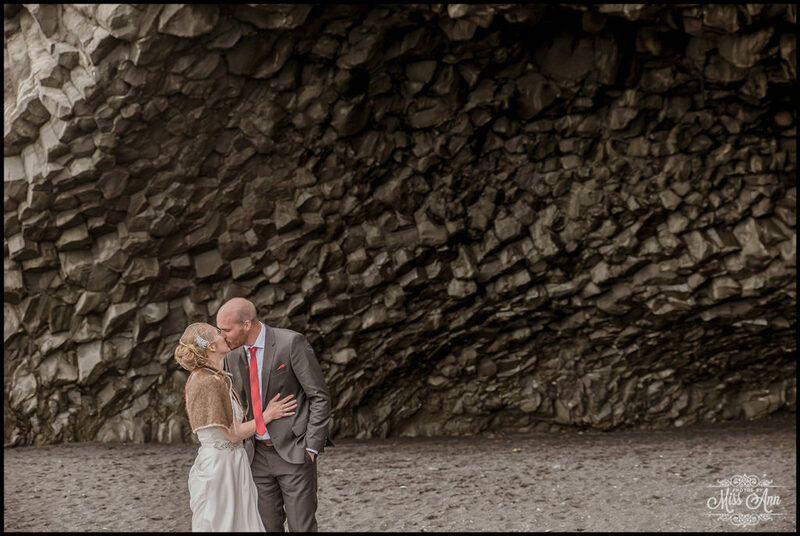 We hope you enjoyed Tara and Landon’s fabulous wedding ceremony on a glacier in Iceland! 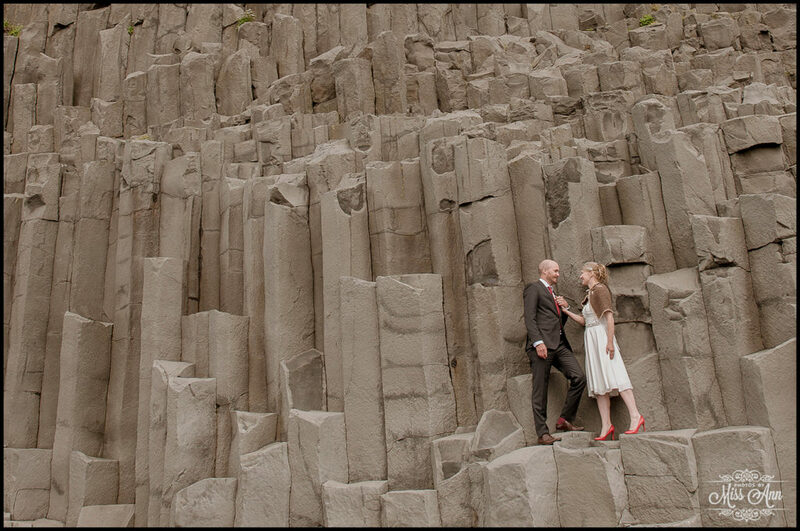 If you missed it, please take a moment and head back here to see or here for their Iceland pre-wedding session. 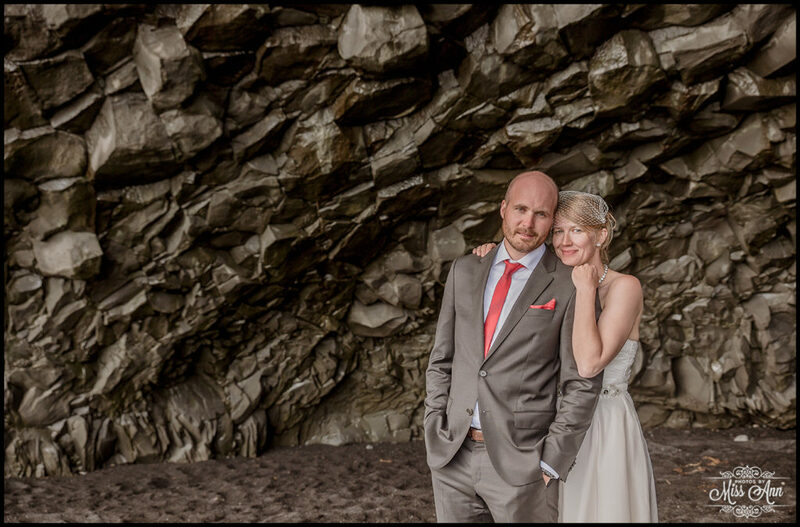 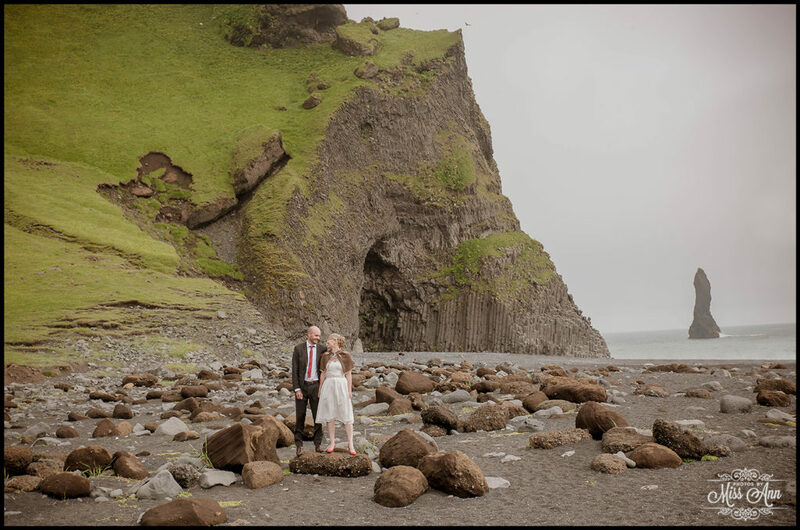 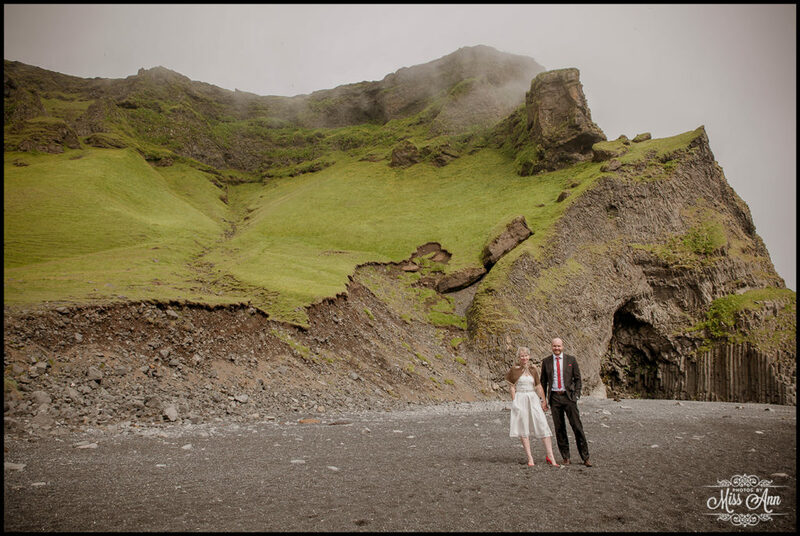 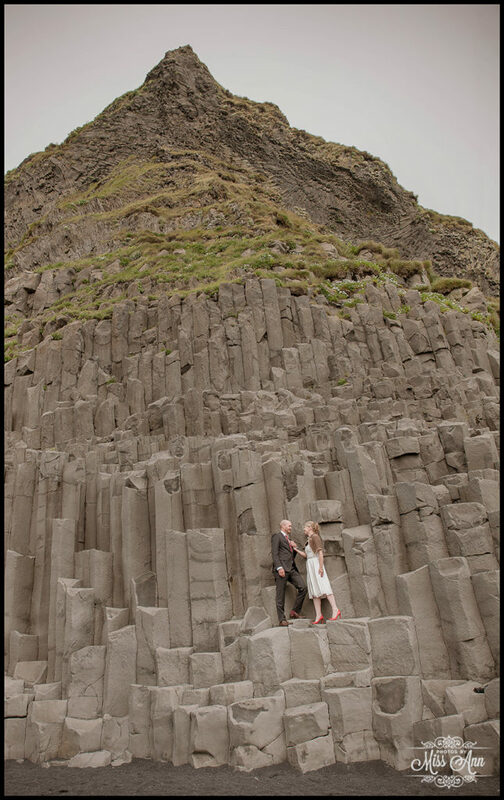 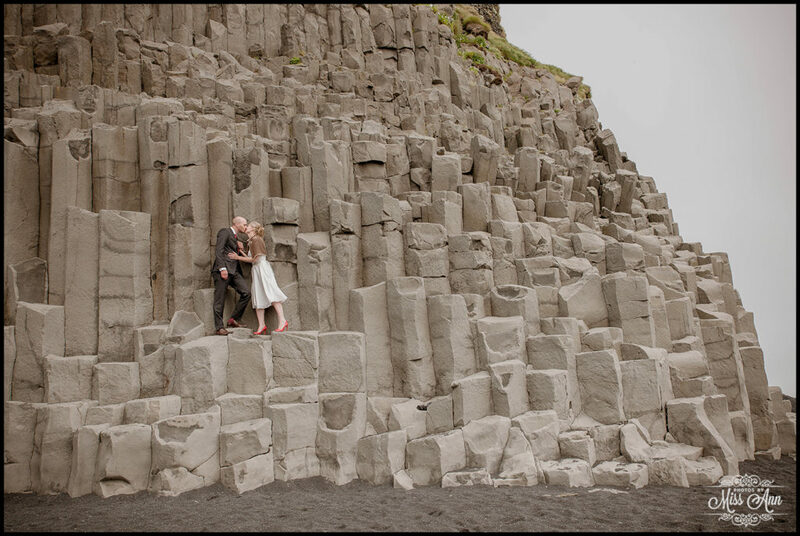 This week, we share the next part of their exciting Iceland wedding adventure… Enjoy! 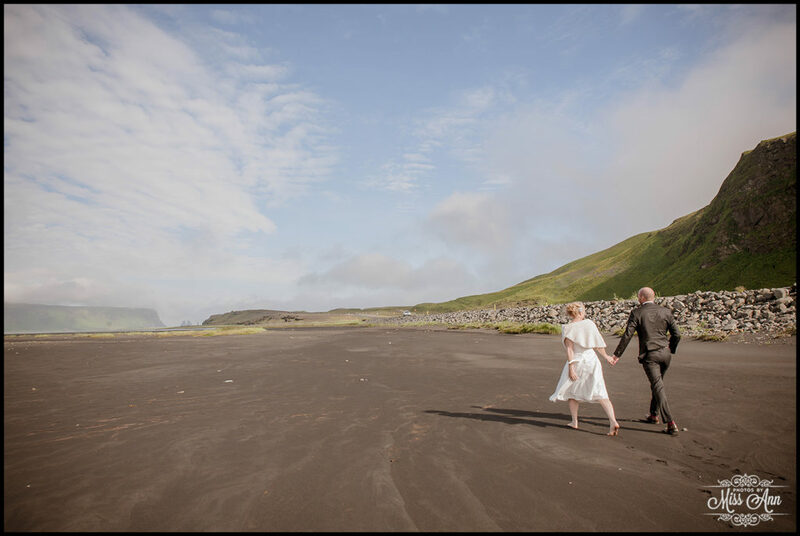 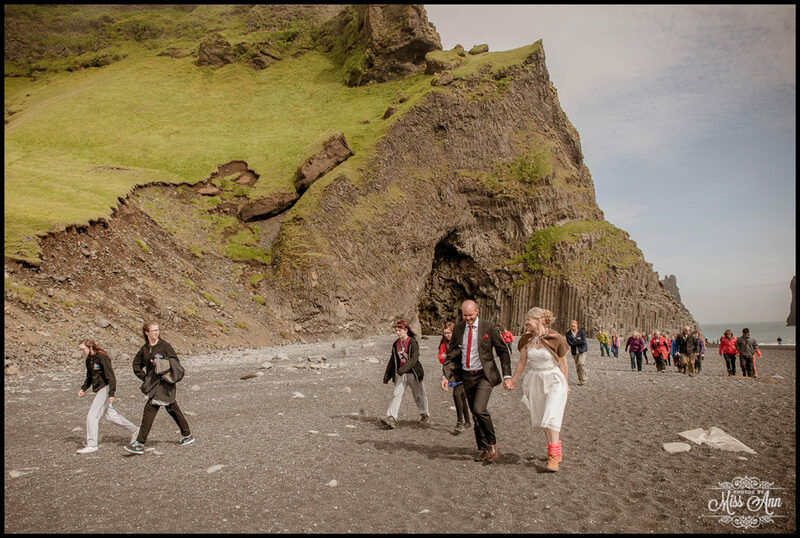 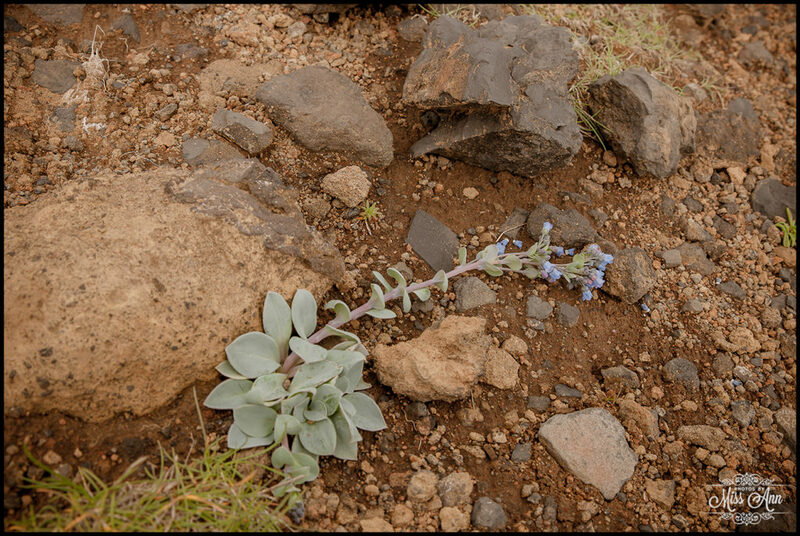 Once we all returned to base-camp of the Mýrdalsjökull Glacier (Katla Volcano), the epic journey continued on at the striking Reynisfjara Cave & Iceland’s most well known black sand beach. 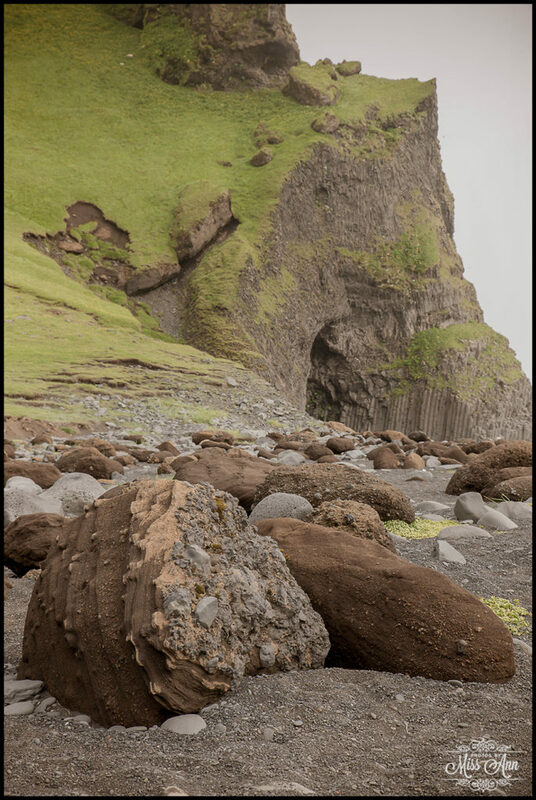 This stretch of beach is often referred to as Vik Black Sand Beach, but it’s not! 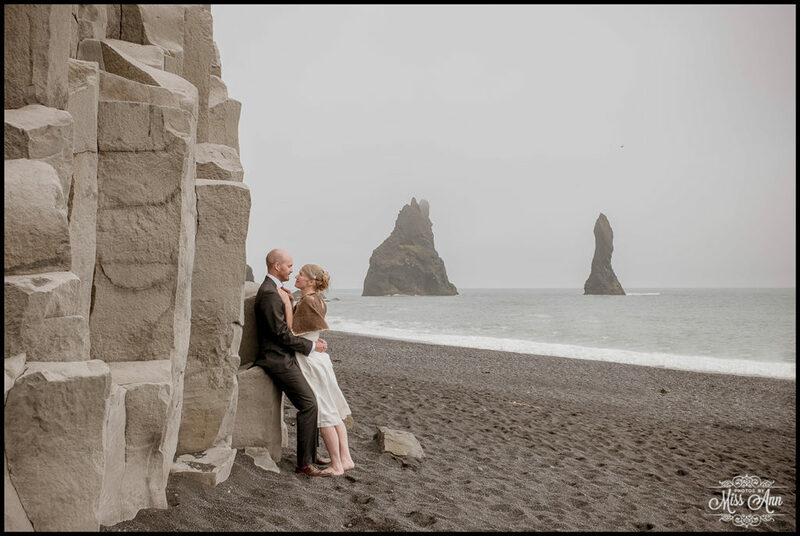 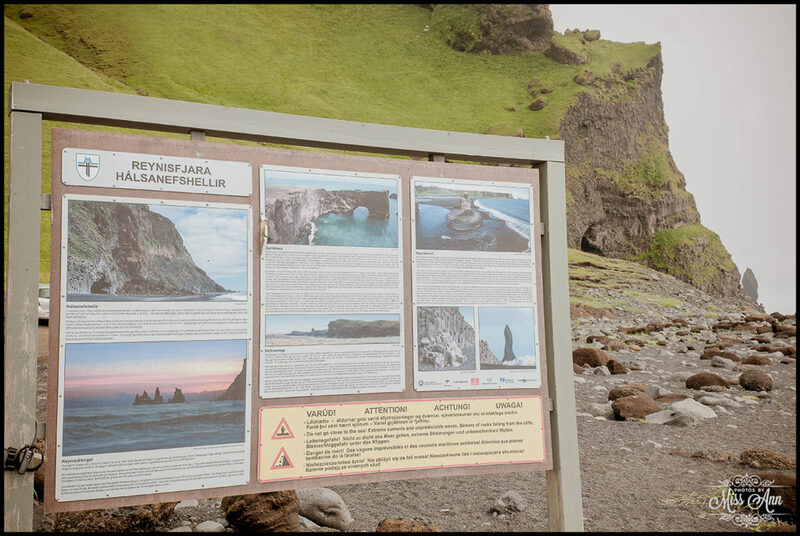 The correct name is Reynisfjara Beach and it can be easy to miss from Route 1 so if you’re driving east and come to the downtown of Vik, you went too far! 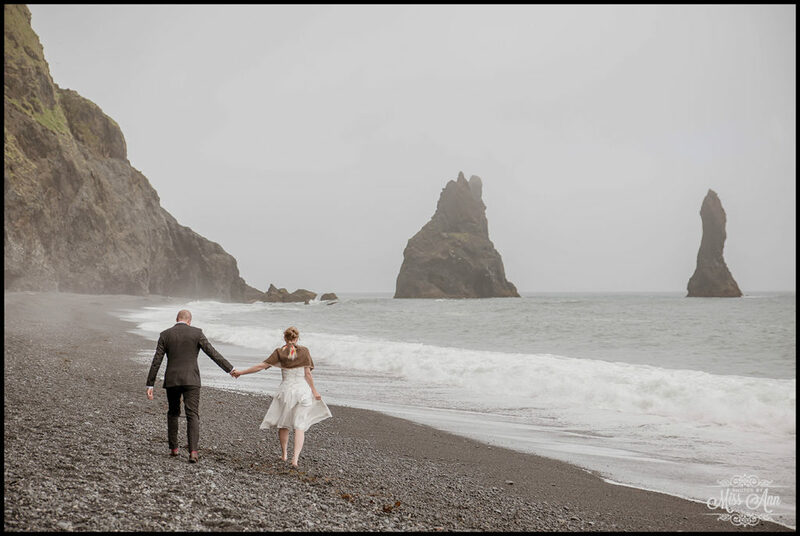 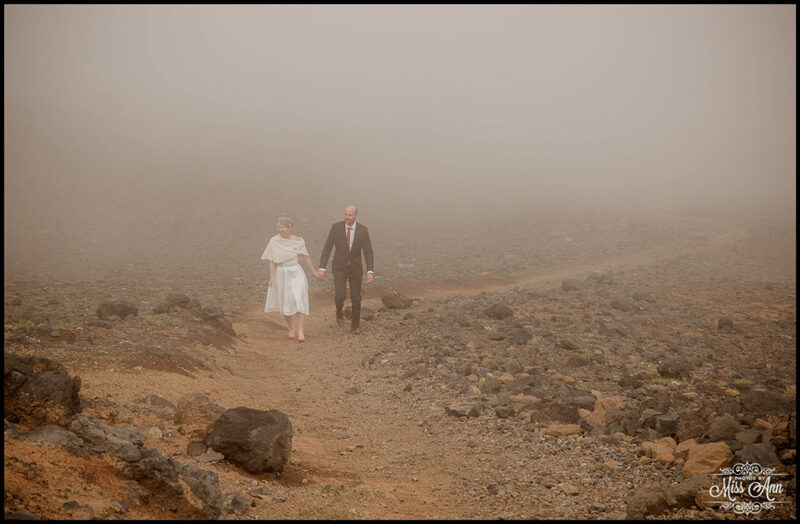 That Iceland summer day brought a foggy low cloud afternoon but that all added a very mysterious element as Tara and Landon playfully walked around hand in hand against the shoreline. 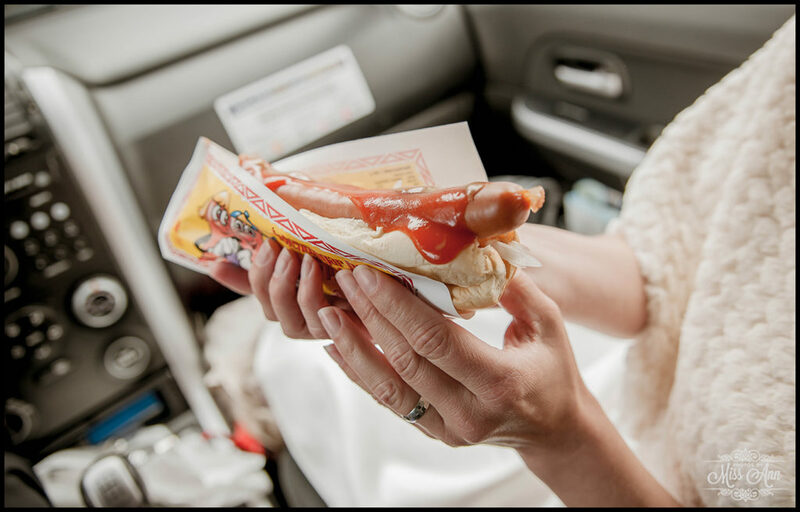 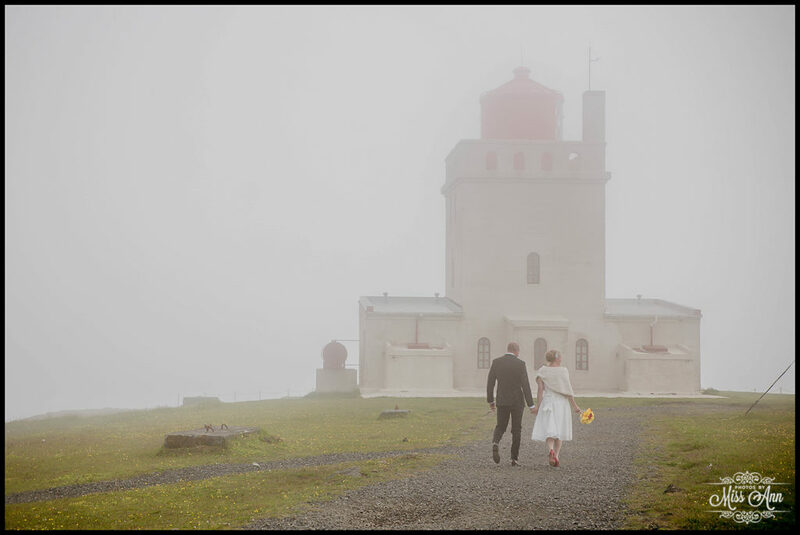 After a quick lunch stop for an Icelandic hot dog near our favorite shop Icewear / Víkurprjón, the bride and groom caught their second wind and we headed to the very foggy Dyrhólaey Cliffs and Lighthouse, it was eerie but oh-so dreamy at the same time! 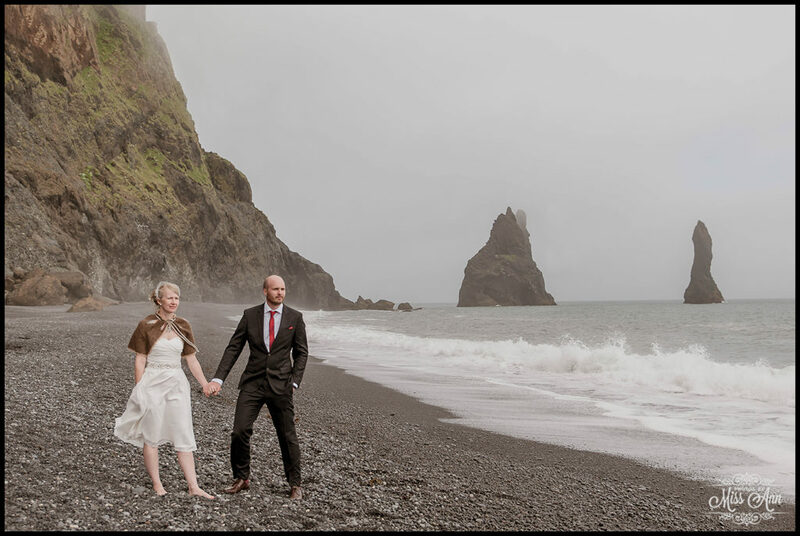 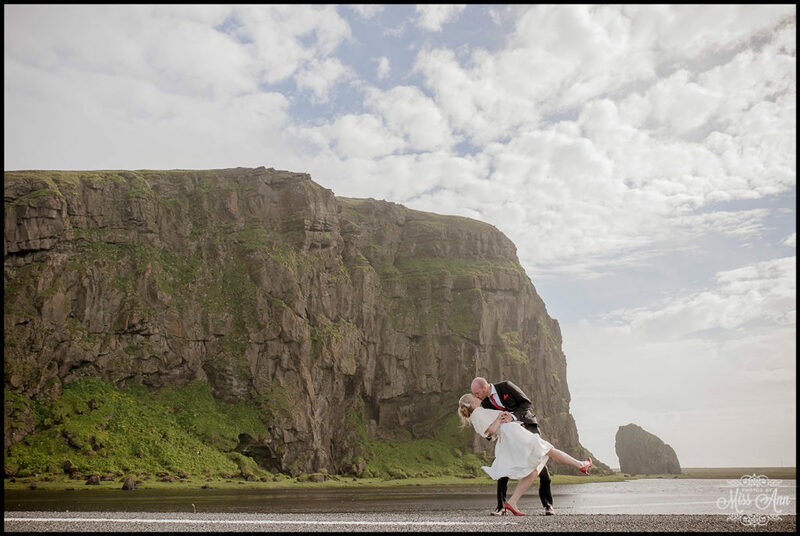 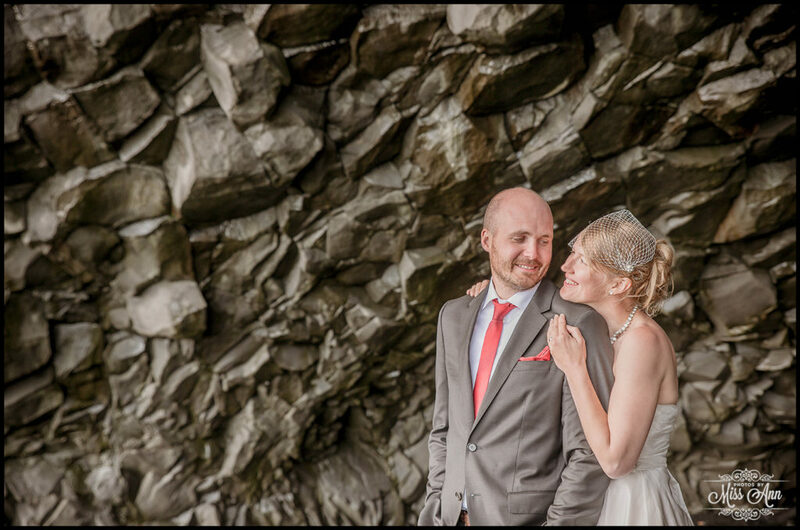 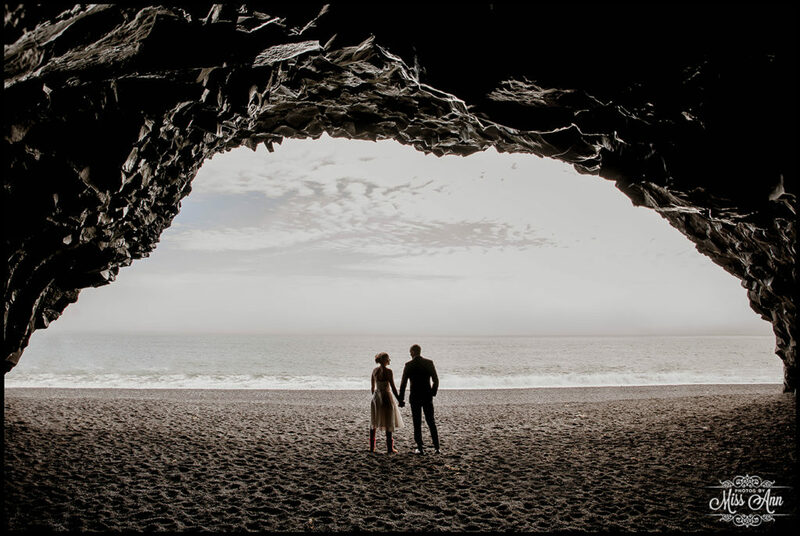 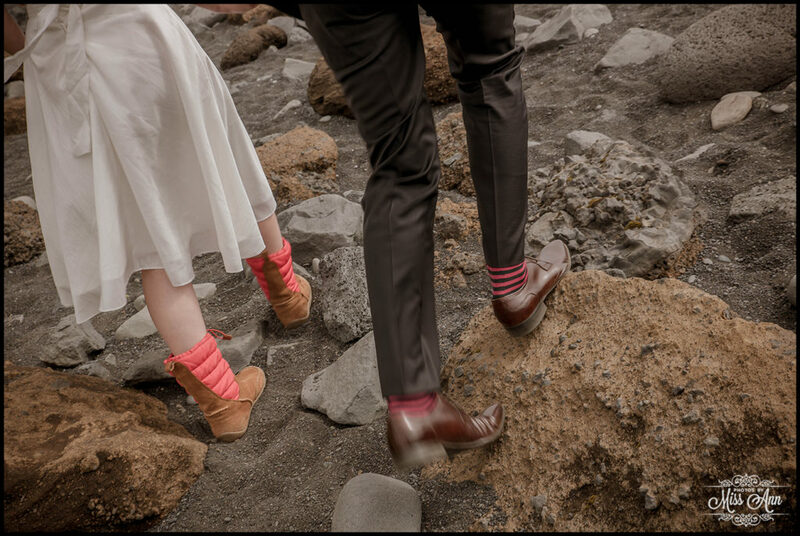 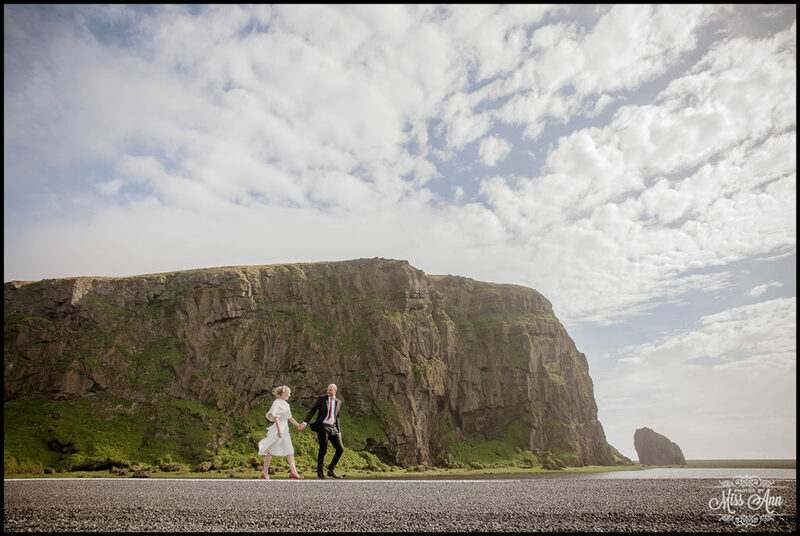 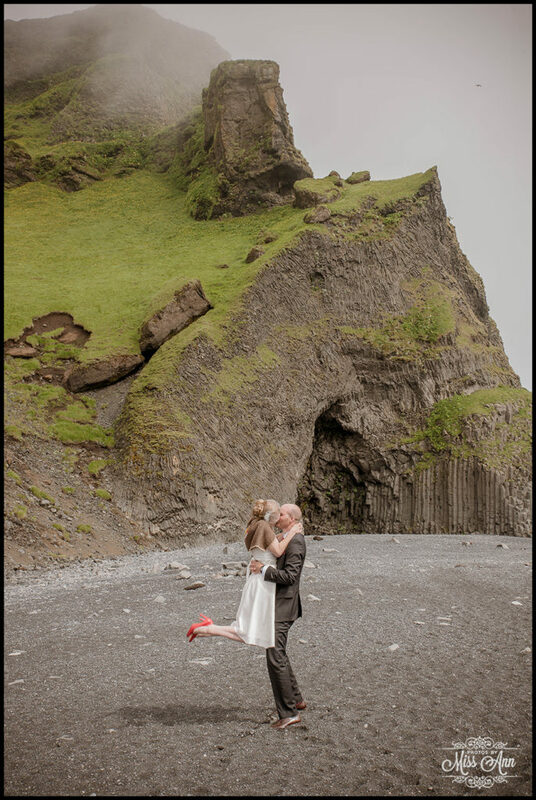 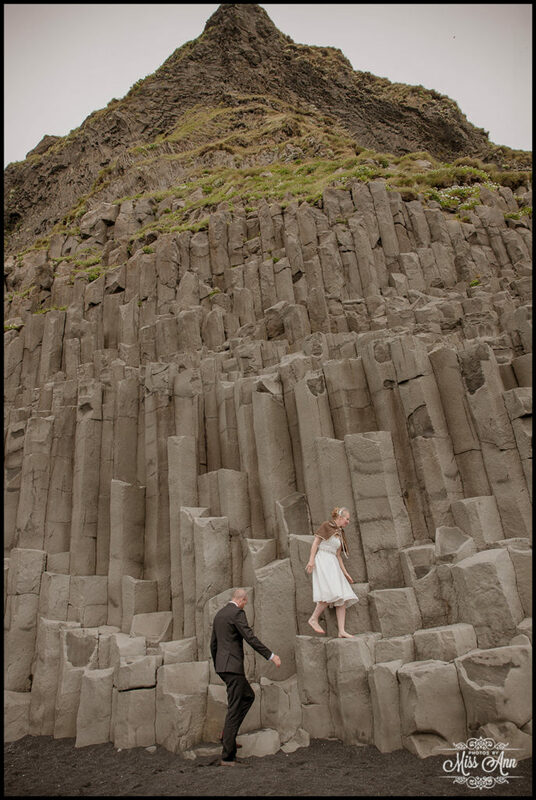 Please delight in these ethereally romantic images <3 …and stay tuned next time to see a very surprising spot for Iceland wedding photos!